1. 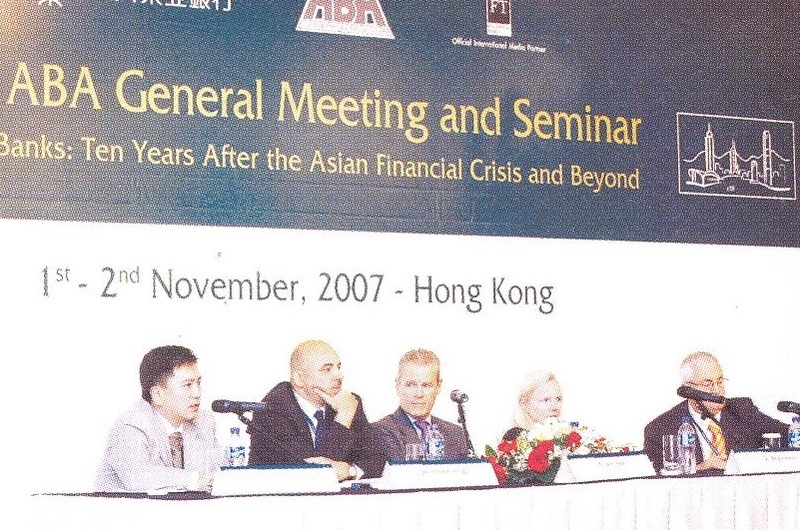 The Asian Bankers Association successfully held its 24th General Meeting and Seminar on November 1-2, 2007 at the Island Shangri-la Hotel in Hong Kong. 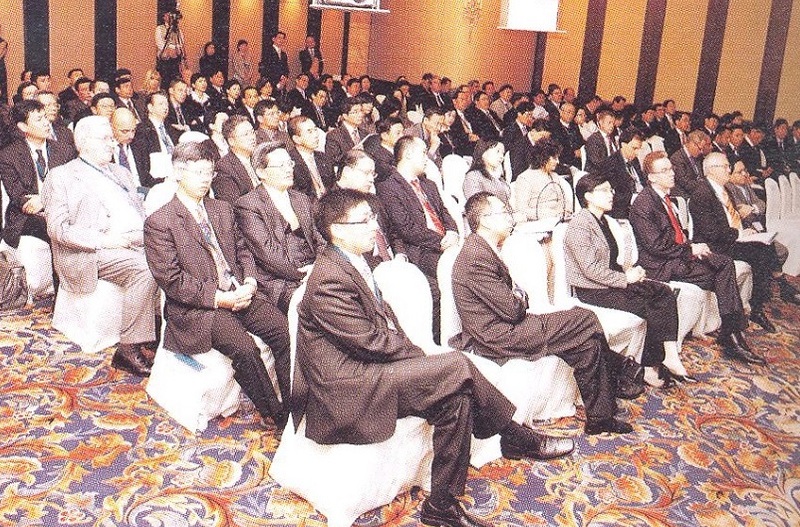 Some 200 high-ranking bank executives, financial and banking experts, government officials, and bank regulators from 50 countries attended the two-day event. 2. Hosted by The Bank of East Asia Ltd., the Hong Kong meeting focused on the theme ”Asian Banks: Ten Years After the Asian Financial Crisis and Beyond.” Eminent speakers were invited to review the impact of the crisis and the policy responses that have shaped the current financial environment, discuss opportunities and challenges arising from recent developments in the global and regional macroeconomic situation and in the Asian banking industry, and examine two markets that are playing increasingly important roles in the region’s financial landscape and economic development, namely, microfinance and Islamic banking and finance. 3. The 39th Board of Directors’ Meeting was also held in conjunction with the 24th annual meeting. The ABA Board discussed internal policy matters and reviewed the status of the various ongoing ABA projects and programs. 4. The Hon. John C. W. Tsang, JP, Financial Secretary of Hong Kong S.A.R., delivered the Keynote Address during the Opening Ceremony. 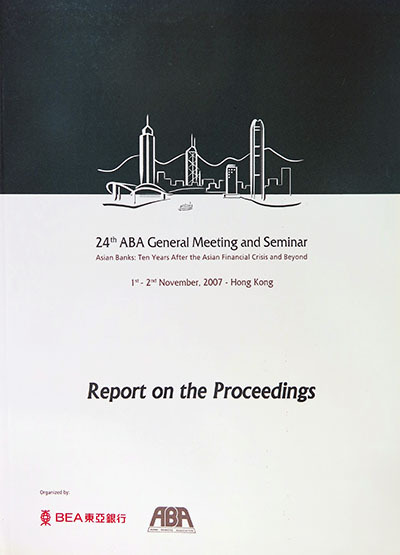 In his Keynote Address, Secretary Tsang urged ABA member banks to be always prepared for a financial crisis similar to the one that hit the region in 1997. 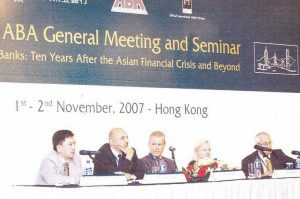 He noted that every economy in Asia has its own unique tale to tell of the decade since the financial crisis took hold. But he stressed that ”we have all emerged stronger and wiser from the experience”. The Financial Secretary also talked about how Hong Kong stood up to these testing times, and what it has been doing to strengthen its financial infrastructure, in particular the banking sector, in the past decade. Secretary Tsang also underscored the need for regional cooperation to achieve regional financial stability, and urged everyone to play a part in sharing ideas and promoting understanding within the region. The full text of Secretary Tsang’s Keynote Address is attached as Annex 1. 5. In his Response to Secretary Tsang’s Keynote speech, ABA Chairman Emeritus Dr. Jeffery L. S. Koo noted that Hong Kong plays an important role in the region’s financial system. “It is not only a major financial center in Asia, but it also serves as a model for the development of financial markets. Hong Kong’s participation in the work of the APEC Finance Ministers has contributed significantly to the strengthening of financial systems in our region,” Dr. Koo said. He expressed his hopes that Hong Kong would continue to play a leadership role in regional financial development, and thanked ABA member banks based in Hong Kong for their support of the Association. 6. 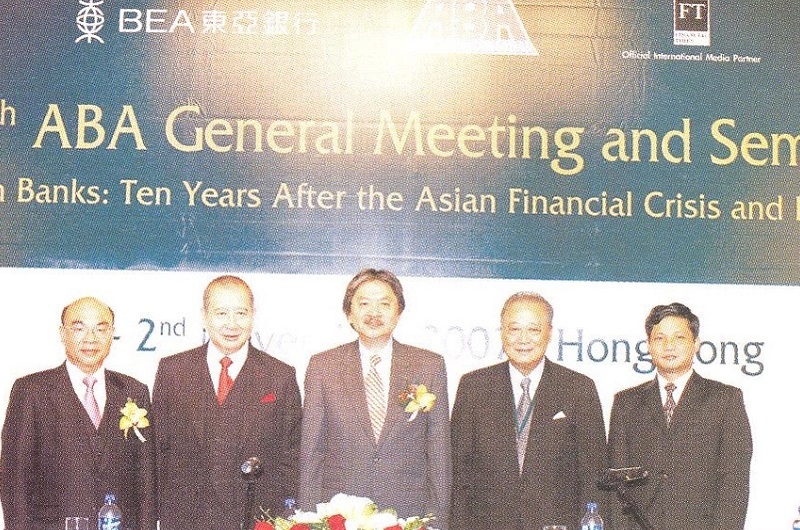 For his part, Dr. David K. P. Li, Chairman and Chief Executive of The Bank of East Asia, this year’s host bank, thanked the ABA for giving the Bank the opportunity to let the delegates experience first-hand how Hong Kong is moving to create a truly world-class financial service platform for the region. ”I believe we are very ·fortunate to have this opportunity to meet, learn from our expert speakers, to share our knowledge, and to return to our home countries wiser and better prepared for the challenges ahead,” Dr. Li said. ”By sharing experience through the ABA, all of us are stronger. We are also better able to take advantage of the rich opportunities emerging in the current dynamic business environment,” he added. 7. 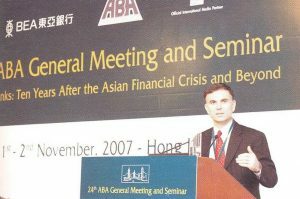 ABA Chairman Mr. McKinney Y. T. Tsai, in his Opening Remarks, said that the theme for the Hong Kong meeting was chosen primarily to give ABA members the opportunity to review the causes and impact of the crisis, discuss the conditions in the affected countries today, examine how their policy responses to the crisis have shaped the current Asian financial environment, address the challenges they continue to face, and identify the new opportunities arising from recent developments in the global and regional macroeconomic situation. 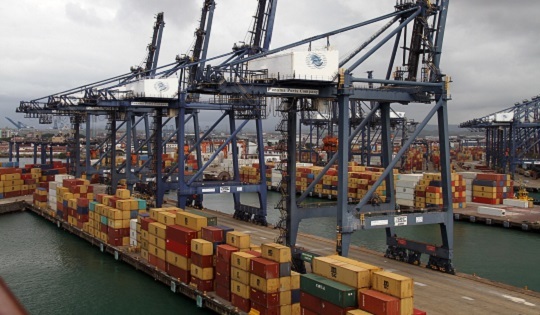 Session One addressed the “Macroeconomic Challenges” and featured three speakers. Mr. Malcolm Wood, Executive Director, Head of Asia-Pacific Strategy, Morgan Stanley, shared his views on key global macroeconomic developments and their likely impact on Asia and Asian financial markets, both in the short- and medium-term. Mr. R. G. Subramanian, Chief Executive Officer, State Bank of India, Hong Kong Branch, to focused his presentation on key development in India and China and their likely impact on Asia and Asian markets, both in the short- and medium-term. Mr. Akira Ariyoshi, Director, Regional Office for Asia and the Pacific at the International Monetary Fund, discussed developments in Asian financial systems since the Asian financial crisis and the remaining challenges to financial stability and how they may be addressed. Dr. Julius Caesar Parreñas, Senior Adviser to the Chairman, Chinatrust Financial Holding Co. Ltd., served as Session Moderator. Session Two focused on ”What’s Happening in the Asian Banking Market” and included presentations by three speakers. Mr. David Marshall, Managing Director, Financial Institutions for Fitch Ratings, outlined general trends in the development and evaluation of the Asian banking market. Mr. Nicholas Sallnow-Smith, Regional Chief Executive, North East Asia at Standard Chartered Bank, shared his insights on the kind of strategies that the changing characteristics of Asia’s banking markets require for global banks to successfully operate in these markets. 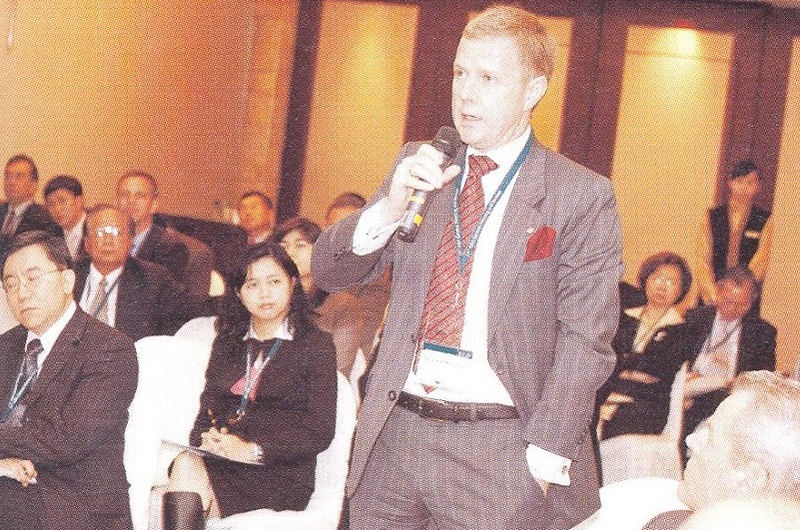 Mr. Victor Mallet, Asia Editor, Financial Times, was Session Moderator. Session Three focused on ”Microfinance” and featured four speakers. Dr. Brigit Helms, Sector Leader for Access to Finance, at the International Finance Corporation (IFC), gave an overview of the microfinance industry, its development and current situation. Mr. Jack Lowe, Chief Executive Officer at the Blue Orchard Microfinance Investment Managers, focused on the development of microfinance as a new asset class and opportunities for investors. Dr. Alfred Hannig, Director of Sustainable Economic Development programs in Indonesia, Deutsche Gesellschaft für Technische Zusammenarbeit (GTZ), spoke on the current situation and outstanding issues related to the regulatory environment for the development of microfinance in Asian countries. Mr. Soronzonbold Lhagvasuren, Executive Vice President for Banking at XacBank from Mongolia, shared the experience of Mongolia in delivering microfinance to its citizens and the role played by XacBank in this endeavour. Mr. Kenneth Waller, Chairman, Financial Services Advisory Board at the Australian APEC Study Centre, served as Session Moderator. Session Four addressed the topic of ”Islamic Banking and Finance” and featured two prominent bankers as speakers. Mr. Arul Kandasamy, Head of Islamic Financing Solutions at Barclays Capital in Dubai, shared his views, from a securities company ‘s and from a regulatory perspective, on the trends, opportunities, and challenges facing Islamic banking and financial sector. En. Ibrahim Hassan, Head of Islamic Banking at Malayan Banking Berhad, focused on the banking aspect of the Islamic financial industry and the issues involved. Mr. Henry S. Y. Hwang, Executive Vice President and General Manager, Investment banking Department, Mega International Commercial Bank Co. Ltd., was Session Moderator. 10. A Special Session was held on the afternoon of November 1 focusing on ”Basel II: Implementation Issues and Concerns.” Mr. Johnny C. D. Mao, Chief Risk Officer at the Bank of East Asia Ltd., shared his practical experience on the issue as a banker, while Mr. Peter Li, Partner at PriceWaterhouseCoopers, presented a consultant’ s point of view. Reviewed the progress of the ABA 2007-2008 Work Program, and recommended measures aimed at effectively implementing the activities under the Work Program, including those in the areas of policy advocacy, information exchange, capacity building, relationship building with other regional and international organizations, and membership expansion. Approved a position paper that focused on enhancing the region ‘s capacity to implement Basel II. The paper urged regulators to strive toward greater consistency in the implementation of the Basel II framework within the region. It called for more intensive capacity-building efforts to assist regulators in moving from rule-based to principle-based supervision, promote transparency and convergence toward the International Financial Reporting Standards, and strengthen banks’ governance systems in key areas. Admitted five new members, including the Khan Bank (Mongolia), East West Banking Corporation (the Philippines), The Bank of Ayudha (Thailand), Military Commercial Joint Stock Bank (Vietnam), and Housing Development Commercial Joint Stock Bank (Vietnam). Agreed to more actively promote the Association in the Middle East and to encourage banks from the region to join the ABA. This is in recognition of the growing role played by Middle East banks in the region. Decided to raise the annual membership fee from US$2,000 to US$3,000 The additional amount raised from the higher fee will be used to help fund the growing number of activities of the Association, including its increasing participation as co-organizer or supporting organization in various regional and international events held by multilateral organizations such as the PECC, APEC, ABAC, SEACEN, and the ADB .. Passed a resolution of thanks for the Bank of East Asia Ltd. For the excellent arrangements made for the meeting and for its warm hospitality to the delegates. 12. 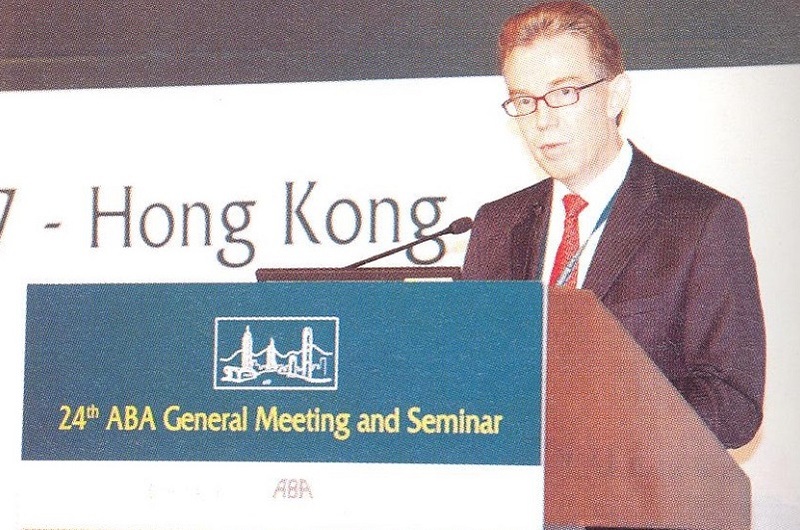 The 24th ABA General Meeting was held on the afternoon of November ad presided by ABA Chairman Mr. McKinney Y. T. Tsai. Among others, the General Meeting: approved the Chairman’s Report, which summarized the activities undertaken by the ABA over the past year in the area of policy advocacy, training programs for members, membership drive, relationship with other regional bankers groups, and participation in other regional events. 13. 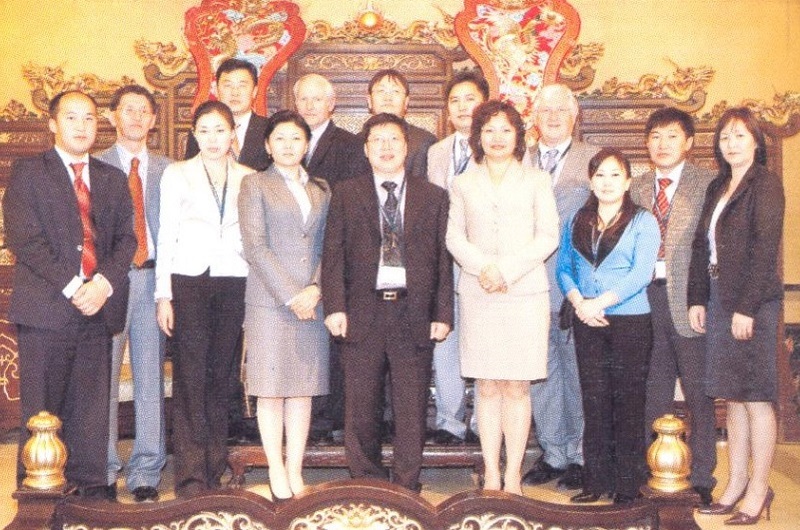 Mr. McKinney Y. T. Tsai, Dr. Jeffrey L.S. Koo, Dr. David K. P. Li, and ABA Vice Chairman Dr. Vu Viet Ngoan from the Bank of Foreign Trade of Vietnam headed the panel that responded to the questions fielded by the media people during the Press Conference held on the afternoon of November 2. A copy of the Press Release issued by the ABA and distributed to the press people at the Press Conference is attached as Annex 2.